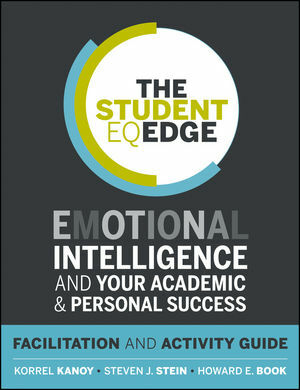 This Facilitation and Activity Guide is a companion to the book The Student EQ Edge: Emotional Intelligence and Your Academic and Personal Success . It offers faculty and facilitators a hands-on resource for helping students reach their potential by tapping into the power of emotional intelligence. The Facilitation Guide includes exercises and activities which are designed to help students develop confidence, independence, the ability to set and meet goals, impulse control, social responsibility, problem-solving skills, stress tolerance, and much moreall of which help improve academic success. 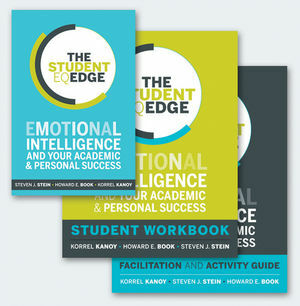 The Guide also contains a wealth of illustrative case studies, questions for student reflection, movie selections and TV shows that illustrate emotional intelligence, and a self-development plan. KORREL KANOY is professor emeritus of psychology at William Peace University and an educational consultant. STEVEN J. STEIN is a clinical psychologist and founder and CEO of Multi-Health Systems Inc. He is coauthor, with Howard Book, of The EQ Edge . HOWARD E. BOOK is an organizational consultant and psychiatrist. He is an associate professor in the departments of psychiatry at the University of Toronto.